Looking for a streaming media player? Which one is good in word of mouth, what extra function could be useful of a best streaming player? This review gives an A-to-Z comparison of the top 4 streaming media player software, from beginners in video streaming to advanced users can find what you need here. What are the Top 4 Streaming Media Players? 5KPlayer absolutely ranks NO. 1 in the free streaming media player list. It does an awesome job in video streaming resolution, and has been performing magnificently with no glitches during our whole test process. One more thing this streaming media player software goes beyond expectation is that, it seamlessly supports every mainstream streaming services and every small providers, aggregating over 300 sites, not including those untested, which is, however, none of the rest three streaming media players could have ever done. * The approach of testing streaming media players we adopted is according to: Price, Compatibility to format, Easy-to-use. * Newly developed Wi-Fi media streaming players are not included. You can check this page later in case of updates of the top 4 streaming media player reviews. * Physical streaming media player like Roku 2,3 and Sony streaming media player will be covered later, please explore more about video streaming from PC/Mac to Apple TV. - A totally Free and Clean media streaming player to play M3U8 streams. - A Powerful built-in streaming function to ensure you smooth video stream rendering in Wi-Fi environment. 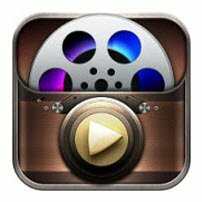 - Stream 4K/5K/1080P video, HQ MP3/AAC music from iPhone/iPad/iPod to Mac, PC or Apple TV. - As for 300+ online video streaming sites with abundant video resources, 5KPlayer is up to all. - Add-on function of AirPlay media to other devices. Learn more about how to stream movies. - Excellent stability in online media streaming. - To set up streaming, choose Media Tab > streaming > Add video > destination setup > Transcoding options. - Repeat to set another device as the receiver. - Video streaming via VLC really places a huge demand on your PC. - Windows users have to pay attention for VLC not working on PC. - An expert for divx video, but only supports video stream in .divx, .avi, .mov, .mp4 format. - All functions, as test proved, could be replaced by 5KPlayer. - Free of charge, but not competitive among Divx web player alternatives. - Specially powerful in platform compatibility, handy if you need mobile access to a video/audio streaming from iPhone/Mac/PC. - Charged for each streaming media player client on PC/Mac/iOS respectively. - Less obtuse set-up than VLC video streaming. So Which is the Best Streaming Media Player for You? 1. Price: 5KPlayer, Divx Web Player, VLC Player are all penny-free. 2. Compatibility: DIvx Web Player dropped, video streaming format limited. 3. Easy-to-use: VLC Player is just too expert to be handy. 5KPlayer features its convenience as the best free streaming media player, with the extra bonus of video download from bunches of websites. How to Play Video Stream with Free Best Streaming Media Player? Instructions on how to play Bad Blood Taylor Swift video stream are specified below and you can also refer to how to play Game of Thrones 5, and how to get NBA Games video streaming. Step 1. Download 5KPlayer for free on your Mac/PC. Step 2. Get the Bad Blood Taylor Swift music video from video streaming sites such as YouTube. Note : Tap the YouTube button on the main interface of this streaming media player, paste the URL you get from the Bad Blood Taylor Swift live video streaming website. Step 3. Choose the video stream format and resolution of Bad Blood Taylor Swift before you click download. Step 4: Download and Play the Bad Blood video with best streaming media player. Note: Click download to get the video stream. You are free to save the streaming media as MP4, WEBM, or MKV videos. After downloading, Bad Blood video stream can be found in the YouTube Tab. Step 5: Click the video stream icon, and this best free streaming media player will present the video streams with no stuttering at all. 5KPlayer is the best free streaming media player to stream MP4, MKV, WEBM videos and MP3, AAC music, etc. If you are currently paying for video music streaming services monthly, here's some free and cute sites for you to explore more about free online video streaming. Tips 1: Try best video streaming services to bypass the 1-account-3-device limits for most video streaming sites. Tips 2: Refer to the top 6 music streaming services comparison to find out about online music streaming besides Pandora and Spotify. Watch Coachella live stream 2018 all performances cosily at home from top best Coachella live stream channels according to complete weekend schedules.